… oh even more joy! 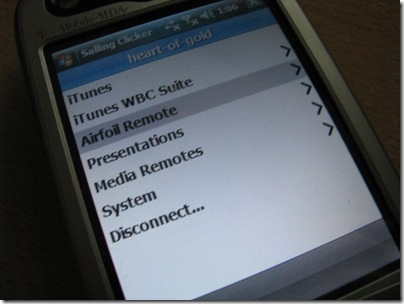 So..in 2009 Windows Mobile 7 will start and some things point towards an AppStore equivalent called Skymarket for the Microsoft mobile operating system… hmm… Why not… earlier? Like before Apple… way to go Microsoft. It took more than 3 years to fulfill this particular wish. But now it’s done. 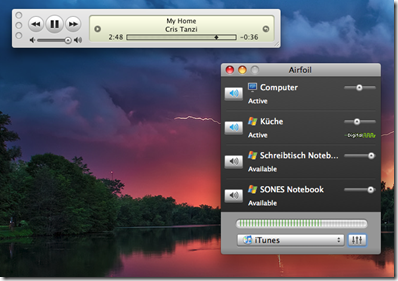 In 2005 I mentioned the Airfoil software that could run on MacOS X and forward sound from almost every application to an AirTunes compatible device. 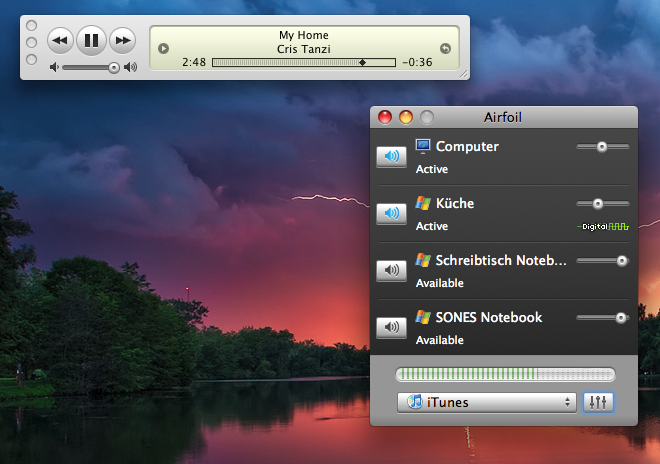 As it turns out Rogue Amoeba did their homework and created a free “Airfoil Speakers” application which can be used on Windows and MacOS X. 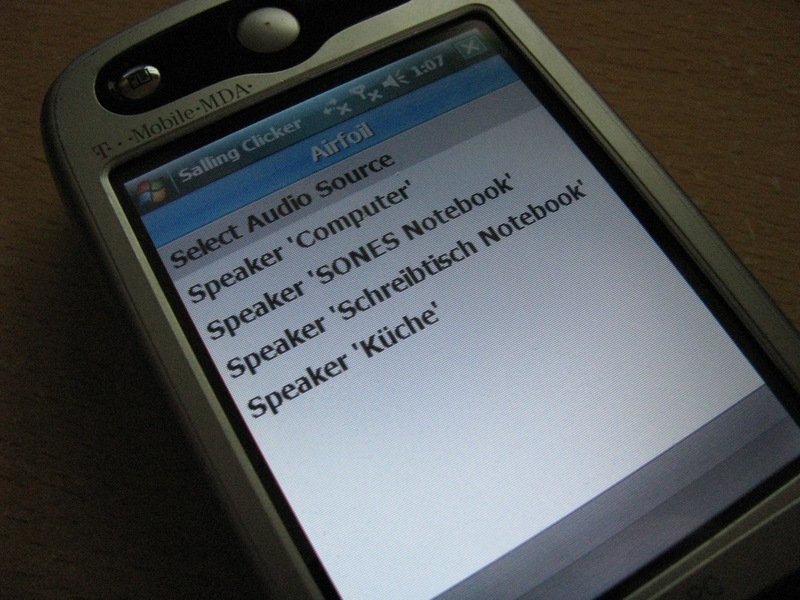 So the things are simple: Start the speaker application on a machine that is in the same network/subnet as the Airfoil master. 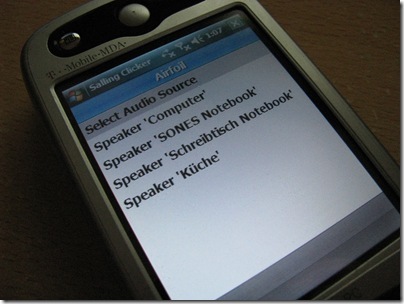 The virtual speaker is then displayed on the master machine and you can assign a sound source from that machine to the speaker. Hmm… Simple Setup sample: One machine is in my kitchen (Windows XP machine) and one machine is on my desk – an iMac. In the kitchen only the speaker application is started and the iMac instantly “sees” the speaker. One click and the sound output of my desk machine is forwarded through the network to the kitchen… Easy and cool. One can think of any other combination of Speaker/Master application – even multiple speakers can be powered by one master…oh joy!